Clint Wilkinson was born and raised in Memphis, Tennessee and began fishing the trout rivers of northern Arkansas during his childhood. In 1998, he made a life changing decision to blend his passion for outdoors and fishing into a career. Wilkinson Outdoor Adventures was born. Clint now offers guided, fly fishing trips on the White and Norfork Rivers for four species of trout. 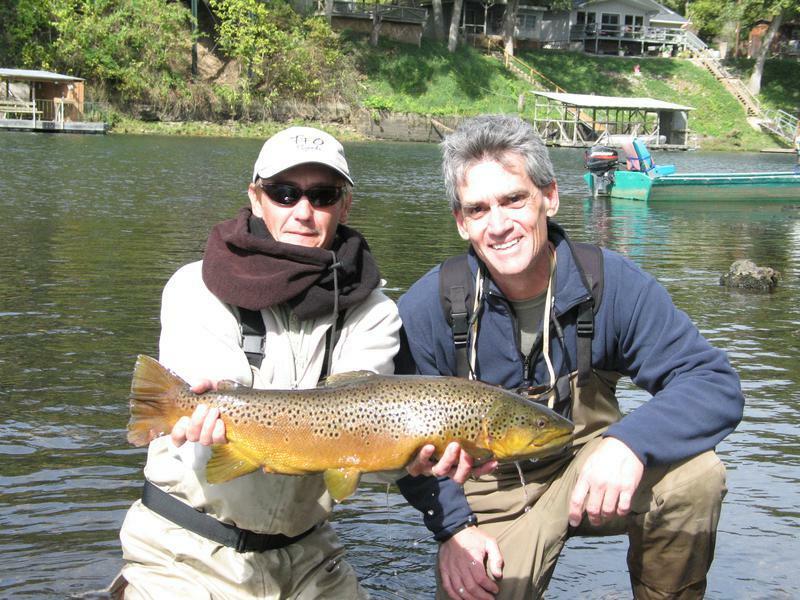 He has established himself as an expert on these rivers and has an excellent reputation with assisting all levels of anglers by designing a trip that meets their specific needs and preferences. His knowledge and dedication to his profession has been featured on numerous television programs and in magazine articles. Wilkinson Outdoor Adventures has a team of professional guides that Clint has personally selected. They are able to cater to the individual angler and well as group and corporate trips. Their knowledge, respect and love of these rivers guarantees the client a safe, productive and memorable fly fish experience.